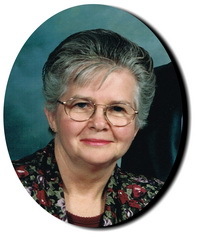 McDonald, Shirley Mae (nee McClure) - of Wiarton, peacefully at Gateway Haven on Saturday, April 26, 2014 at the age of 73 years. Loving wife and best friend of Gordon. Proud mother of Mary Helen and her husband Steve, of Fordwich, Judy Linde and her partner Dave Hickson, of Shallow Lake, Karen and her husband Chris Barrie, and Peter and his wife Julie, both of Barrie; and grandmother of Aaron, Elsbeth and Rachel Carter, Adam, Lukas and Holly Linde, Marshall and Wyatt Hickson, Jessica and Brittany Barrie, and Breanna, Aria and Nolan McDonald. Devoted sister of Bob McClure (Iona), of Pike Lake, and Lorna (Tony Vasey), of Kitchener; and chosen sister-in-law of Bob Gilchrist (June), and Audrey (late Jack Gilchrist). Survived by her step-mother Margaret McClure; mother-in-law Nina McDonald; and brothers and sisters-in-law Mildred Young (late Ron), Isabel Thompson (late Robert), Esther (Clare Bushell), Malcolm MacDonald (Annette), Ken MacDonald (Anne), and Alma Mae (Glen Kaufman). Predeceased by her parents Lloyd and Edna; father-in-law Thomas McDonald; sons Thomas (1961) and David (1994); and brother Lawrence McClure (1979). Friends may call at the Thomas C. Whitcroft Peninsula Chapel, 272 Berford St., Wiarton (519) 534-5341 on Tuesday, April 29, 2014 from 7-9 PM, where a service to celebrate Shirley’s life will be conducted from the chapel on Wednesday at 11 o’clock. Interment in Burns Cemetery, Mono Centre. Donations to Alzheimer's Society or Friends of Gateway would be greatly appreciated.